Over the past decade or so, Pearland — the fastest-growing city in the Houston metro area — has quietly built a reputation as a respected food destination. With an extremely diverse population and an ongoing explosion of new housing and commercial developments, the formerly sedate fruit-farming town has become an expansion of Houston’s renowned culinary scene. Pearland is less than 10 miles from the south side of the 610 Loop, making it the closest of the major suburban areas to Houston proper. This proximity to the city is reflected in the diversity of its food offerings as well. In fact, this list of 10 restaurants represents nine ethnic cuisines from over a dozen countries. Pearland has become a bonafide melting pot of worldly dining from the Far East to South America — which means residents don’t have to go far for a worthy dining experience. This list is in alphabetical order, not ranked. Biryani Express, 10223 Broadway: There are only a handful of Indian restaurants in and around Pearland, but this Hyderabadi kitchen is the definite standout. It is nestled in an strip mall next to an Indian market called Swadeshi Groceries. The small, family-owned eatery serves delicious and authentic Mughlai and Hyderabadi dishes that first started to evolve in the Mughal Empire. The expansive selection of regional Indian cuisine includes fried samosas, Tandoori dishes and South Indian dosas, traditional Indian crepes made of fermented batter folded over rice and other fillings. The highlights of the menu are, naturally, the biryani dishes. These are bowls of basmati rice cooked with meats or vegetables and heavily seasoned with Indian herbs and spices. The spicy bowls are served with yogurt raitha and mirchi ka salam (a tangy yogurt sauce and a common chili and peanut curry). 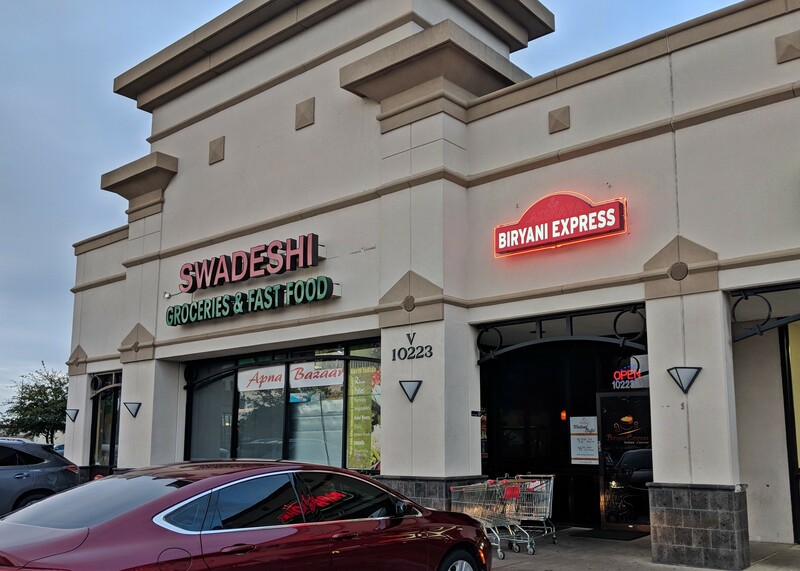 Biryani Express is open Sundays through Thursdays from 11 a.m. to 9:30 p.m. and Fridays and Saturdays from 11 a.m. to 10 p.m.
D’Caribbean Curry Spot, 8201 Broadway: This West Indian restaurant has been a Pearland staple for 11 years. The locally-owned joint offers all manner of Caribbean classics like incredibly tender oxtails with rice and plantains and the house favorite roti wraps. (Roti is an Indian flatbread commonly used in West Indian cuisine.) The curries at D’Caribbean are intensely flavored and deeply aromatic. Equally interesting are the drinks, which include bottled sodas from both Trinidad and Jamaica as well as housemade punches such as peanut punch (a sweet peanut butter and milk drink), soursop punch(sweet and sour fruit punch made from tropical soursop fruit) and the tree-bark based mauby drink from Trinidad & Tobago. 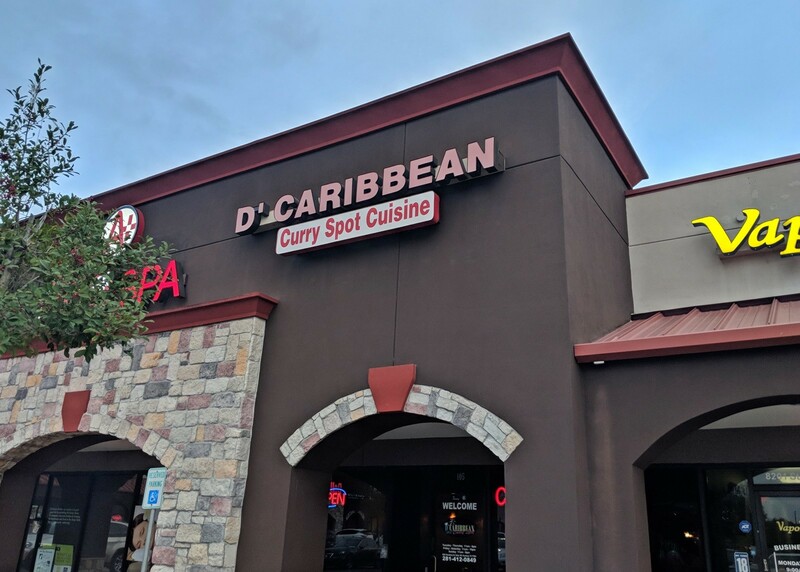 D’Caribbean Curry Spot is open Tuesdays through Thursdays 11 a.m. to 9 p.m., Fridays and Saturdays 11 a.m. to 10 p.m. and Sundays 11 a.m. to 8 p.m.
Grazia Italian Kitchen, 9415 Broadway: The first Grazia Italian Kitchen opened in Pearland in 2014 and has since expanded with locations in Clear Lake and Katy. Chef-owner Adrian Hembree opened the first one after a long career in food service and distribution. 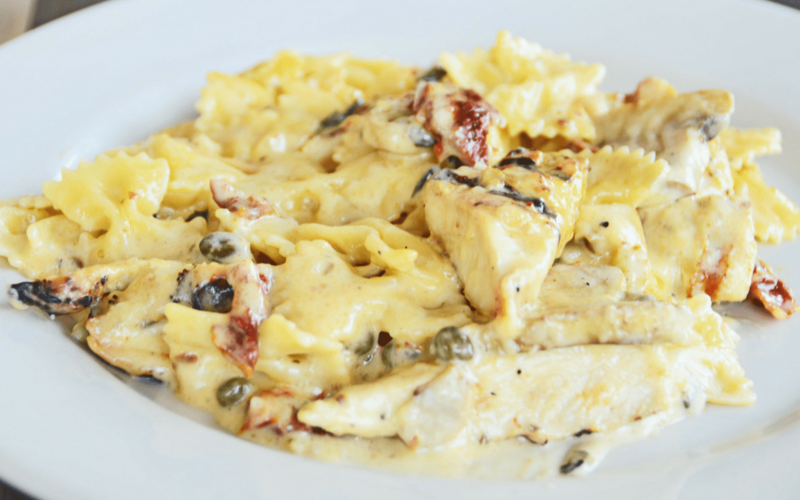 The cozy Italian-meets-southern concept serves innovative dishes that pair Texan tradition with Italian comfort food. A case in point is a multi-award winning specialty, the smoked beef short rib. The succulent boneless short rib is bathed in a sweet and smokey bourbon chipotle glaze and plated over a savory pancetta risotto. Much like Grazia itself, the dish is an inventive fusion of Italian comfort with Texas barbecue and a splash of southwestern charm. Housemade pastas and wood-fired pizzas are additional points of pride, along with a fun spirits program than includes house-infused vodkas. Grazia Italian Kitchen is open Mondays through Thursdays from 11 a.m. to 10 p.m., Fridays and Saturdays 11 a.m. to 11 p.m and Sundays 10 a.m. to 9 p.m.
Killen’s Barbecue, 3613 East Broadway: Killen’s Barbecue can be credited with elevating Pearland’s culinary profile by several degrees. Owner Ronnie Killen opened the barbecue joint in 2014 inside a renovated school cafeteria — the same school that he attended as a kid — and it became one of the country’s most acclaimed smokehouses. The line for weekend lunch service rivals that of Franklin’s in Austin, though Killen’s recently introduced an evening dinner service that lets diners skip the line and enjoy a larger dinner menu that excels beyond classic barbecue dishes. That includes chicken fried steak, brisket tacos, pork belly burnt ends, smoked short-rib tamales and Korean sticky ribs. For his brisket, Killen uses top-notch American Wagyu Black Grade beef from Snake River Farms and seasons it with imported Tellicherry black pepper from India. 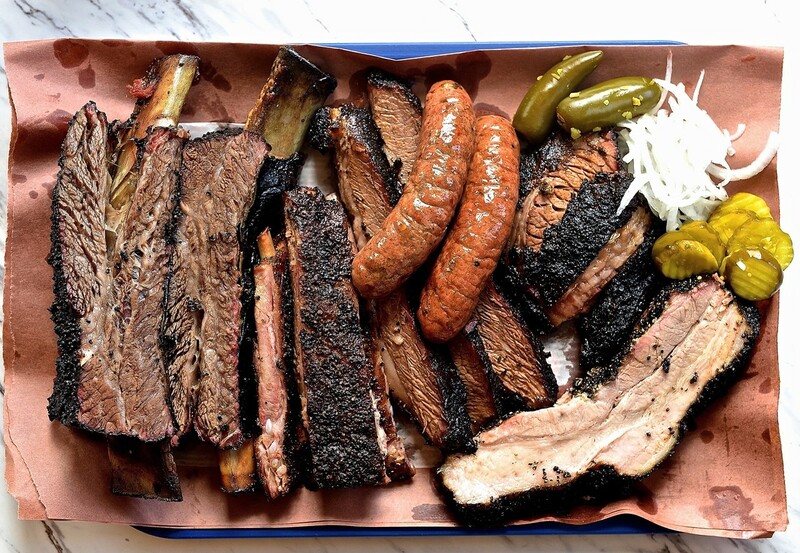 Killen’s Barbecue is open Sundays through Thursdays from 11 a.m. to 8 p.m. and Fridays & Saturdays from 11 a.m. to 9 p.m.
Killen’s Steakhouse, 6425 Broadway Street: Owner and Pearland native Ronnie Killen trained at the prestigious Le Cordon Bleu Culinary Institute in London and worked in a number of high-end resort kitchens and fine steakhouses before returning to his hometown to expand his hospitality career as a restaurateur. Of his four restaurants (three in Pearland and one in Houston), his first, Killen’s Steakhouse is one of best showcases of his refined culinary skills. 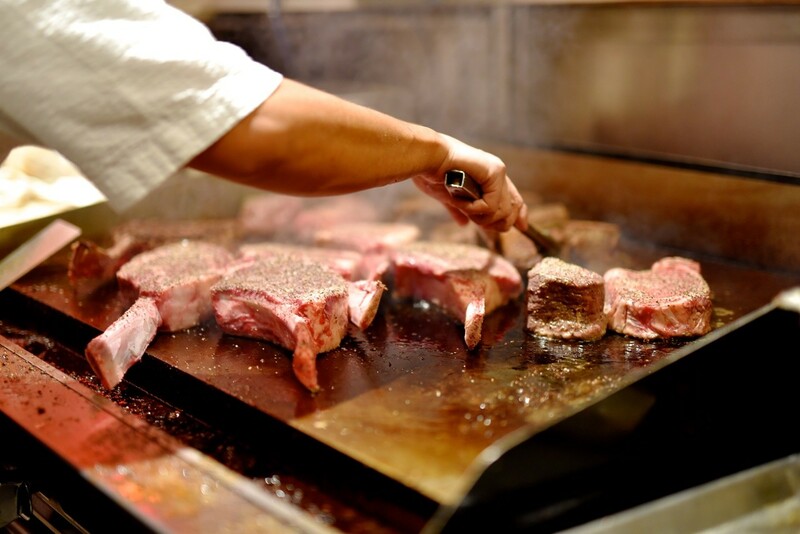 It opened in 2006 and is named among the best steakhouses in the United States. The restaurant boasts one of the most opulent beef menus in Texas with an assortment of cuts like domestic Wagyu, wet-aged prime and the coveted A5 Japanese Wagyu. In addition to steak, there are entrées like the seasonal Butter Bourbon Pecan-Glazed Kurobuta Pork Chops. The Kurobuta, a Japanese pig, is a cousin of the English Berkshire, so the meat is some of the most tender and flavorful of all. Killen’s is open Monday through Thursday from 3:30 p.m. to 9 p.m., Fridays from 3:30 p.m. to 10 p.m. and Saturdays from 4 p.m. to 10 p.m.
King’s Biergarten & Restaurant, 1329 East Broadway: King’s Biergarten is a hometown original owned by father-and-son business partners Hans and Philip Sitter. In 2011, Hans ran a car wash and renovated an old computer shop into a small restaurant where his customers could enjoy a brat and a beer while waiting for their car. He eventually closed the car wash to expand restaurant into the destination it is today. King’s might seem like a German Medieval Times with its kitschy German decor and servers wearing lederhosen and dirndls. However, the Sitters’ bar and restaurant, which serves family recipes more than 100 years old, is an Old World gem. Customer favorites include traditional and exotic sausages, schnitzel, and the essential cream cheese Liptauer spread flavored with paprika, dill pickles and onion that makes for a great starter or snack. A few years ago, King’s expanded from Pearland to Houston and opened a second, expansive King’s Bierhaus in the Heights. 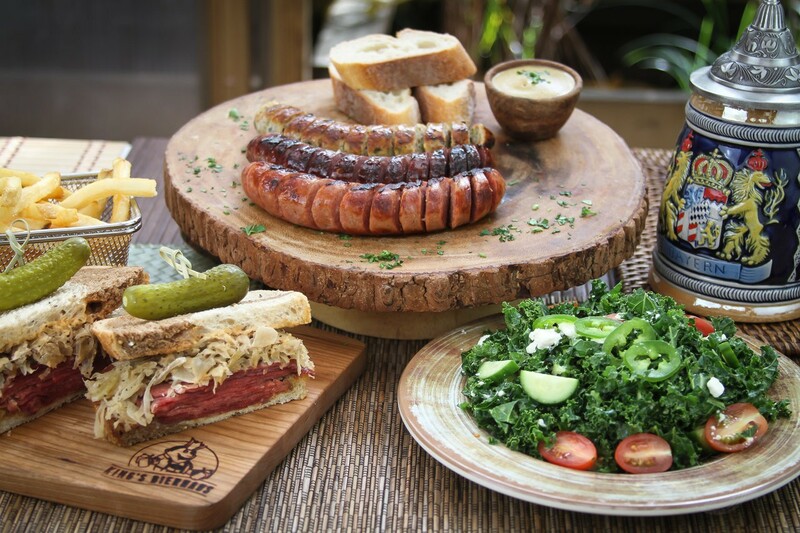 The latter has become one of Houston’s most popular spots for German food and craft beer. King’s Biergarten & Restaurant is open Sundays through Wednesdays from 11 a.m. to 9 p.m., Thursdays from 11 a.m. to 10 p.m. and Fridays and Saturdays from 11 a.m. to 11 p.m.
Latino Bites Express, 2251A Country Place Parkway: For decades, Pearland was a town with a lot of Tex-Mex. Until recently, that was the only representation of Latino cuisines in Pearland. These days, Latino Bites Express is giving locals the opportunity to experience other kinds of Latin fare. It is a small, family-owned and operated restaurant in a nondescript strip center adjacent to a gas station. The bright pink and yellow sign, though, is hard to miss. Inside is an array of Latin street food that includes Argentinian and Colombian empanadas, Venezuelan cheese sticks known as tequeños, Puerto Rican jibaritos (a sandwich with plantains as the “bread” that may have actually originated in Chicago), tacos, pupusas, arepas and more. The two styles of empanadas are particular highlights. 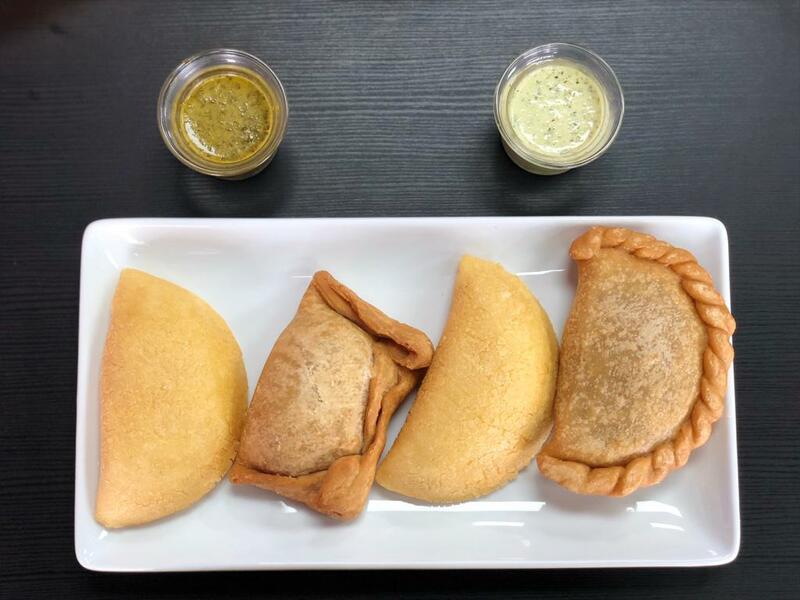 These are the Argentinian Gaucho, a soft wheat-flour empanada filled with traditional egg, onion, bell pepper and ground beef, and the Colombian Paisa, which is a hard shell, corn-flour empanada filled with potato and ground beef. The latter is deep fried, greasier and commonly enjoyed as an appetizer in Colombian kitchens. Both empanadas join a remarkably diverse menu of South, Central, and Caribbean-American dishes. Latino Bites Express is open Mondays through Saturdays from 10:30 a.m. to 8 p.m. and Sundays from 10:30 a.m. to 1 p.m.
NAM Noodles and More, 2510 Smith Ranch Road #110: Vietnamese food is as synonymous with Houston’s food identity as Tex-Mex. It has become an important element of Pearland’s food scene, too. NAM Noodles and More is a popular, family-owned mini-chain with a flagship restaurant in Rice Village. The fast-casual Vietnamese concept offers staples like phở, bánh mì, vermicelli, pot stickers and rice plates made fresh in-house daily. 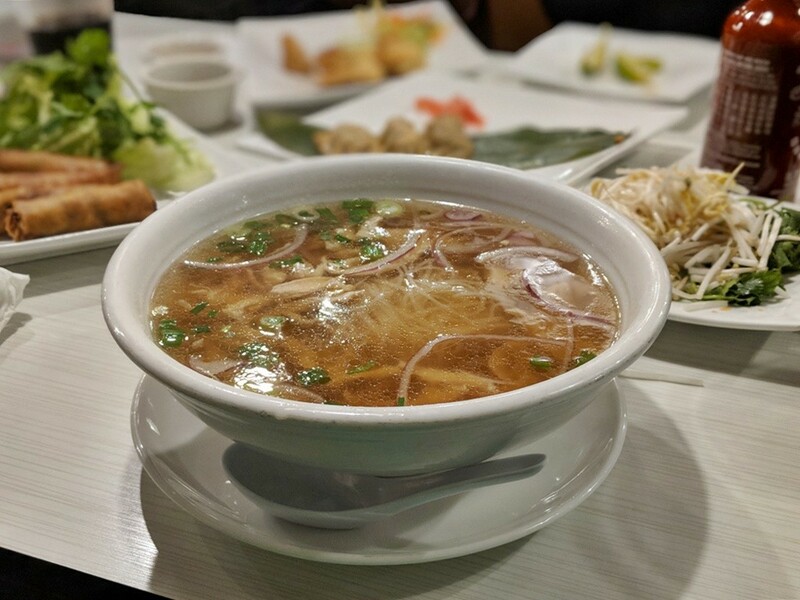 Phở is the highlight of the menu and the chicken and beef soups are both outstanding. Each boasts savory rich broths and mountains of perfectly firm noodles. Other must-try dishes include the mouthwatering appetizers like steaming fried pork dumplings, creamy crab-tons and honey-glazed pork baos. We recommend pairing any order with cà phê suađá, the Vietnamese iced coffee that is perfectly sweet and generously sized. Service as NAM is fast and friendly making it particularly nice as an option for a quick lunch. NAM Noodles and More is open Sundays through Thursdays from 11 a.m. to 9 p.m. and Fridays and Saturdays from 11 a.m. to 10 p.m.
Pepper Twins, 9721 Broadway: Chinese food is not one cuisine but a genre of multiple, distinct cuisines. One of the most popular and underrepresented of these is Sichuan. Fortunately, a Pearland restuarant has this cuisine covered. Yunan Yang opened her first Sichuan restaurant called Cooking Girl with her sister in Montrose in 2015. The follow-up is called Pepper Twins and it’s grown to four Houston-area locations. The Pearland one opened in March 2018. 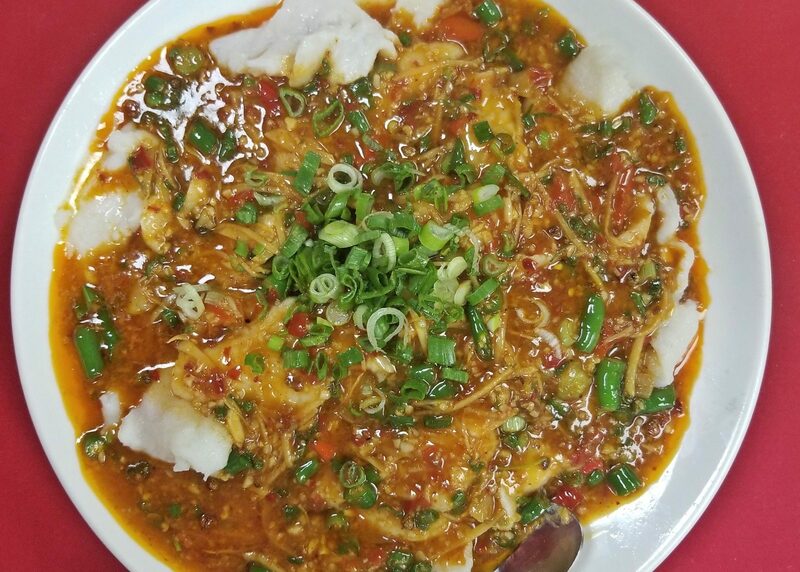 Yang’s spicy pepper dishes are a hit both on consumer review websites and with critics. However, the food is not for the faint of heart. While mild dishes are available, over two-thirds of the menu is spicy. That’s proper, as Sichuan dishes are famous for the namesake, tongue-tingling peppers. Menu favorites include spicy Mongolian beef, Pepper Twins chicken, and GQ Magazine’s 2017 appetizer of the year, the Mr. & Mrs. Smith. The cleverly named dish is a plate of beef tongue and tendon modeled after the traditional Sichuan fuqi feipian (which roughly translates to “husband and wife lungs”). It’s lathered in “two-pepper” heat-rated Sichuan sauce and sesame paste. Heed our warning: the spice level is known to cause a hot face and numb tongue — a fascinating sensation that will beckon some diners back to Pepper Twins repeatedly. Pepper Twins is open Tuesdays through Sundays from 11:30 a.m. to 2:30 p.m. and 4:30 to 9 p.m. It is closed on Mondays. Thai Jasmine Express, 1826 Country Place Parkway: Although it only opened in August 2018, this family-owned Thai kitchen with a friendly staff has quickly become a favored Asian restaurant in Pearland.The counter-service cafe serves classic and familiar Thai dishes such as Pad Thai, red and yellow curry and tom yum soup. There are also more adventuresome dishes such as spicy fish patties and Thai chicken puffs, which are flaky, samosa-style pastries filled with chicken and mashed vegetables. The highlight, however, is the red curry. The sauce is a mix of red chili paste and basil cooked in coconut milk with choice of meat, bell peppers and bamboo shoots. It is savory, spicy and textured by rice and meat that graciously soak up the bright red sauce. For dessert, diners can soothe their burning mouths with a fruit smoothie or mango sticky rice. Thai Jasmine Express is open Mondays 11 a.m. to 9 p.m., Tuesdays and Wednesdays 11 a.m. to 8 p.m., Thursdays through Saturdays 11 a.m. to 9 p.m. and Sundays from 12 p.m. to 6 p.m. The combination of diverse ethnic options, fine dining and authentic regional cuisines like barbecue and Tex-Mex is what makes Pearland a culinary destination in its own right. More than a simple extension of Houston’s scene, Pearland has created its own — one that keeps growing and evolving, offering choices that rival those in the big city. As the Pearland continues to grow, additional new and exciting restaurants are going to inevitably follow.